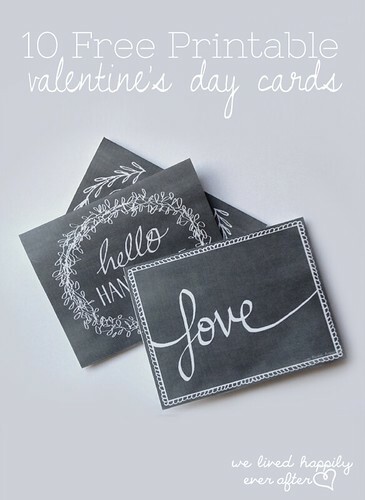 What I like about Valentine's Day is that it isn't just for lovebirds... it's fun to remember family and friends with a card and perhaps a little treat. I've gathered some of my favorite ideas to kick start a crafting session. 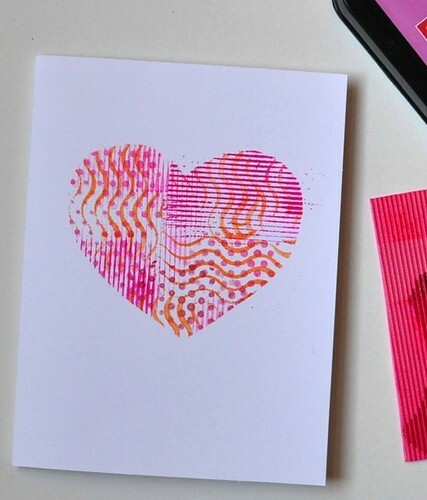 Vicki Smith of the blog Art with Kids shows how to make easy stenciled Valentines as a kid-friendly printmaking project. 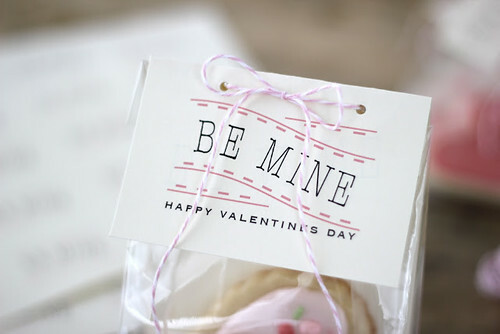 Wrap up special candies or cookies and top the package with this cute Be Mine printable tag from Jenny Steffens Hobick of Everyday Occasions. 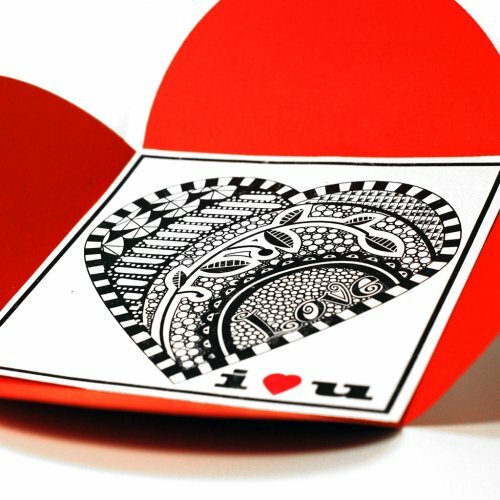 Rita of EasyPaperCrafts designed this stylish printable Zentangle heart. Perhaps you have a daughter/son or granddaughter/grandson who loves to make friendship bracelets. 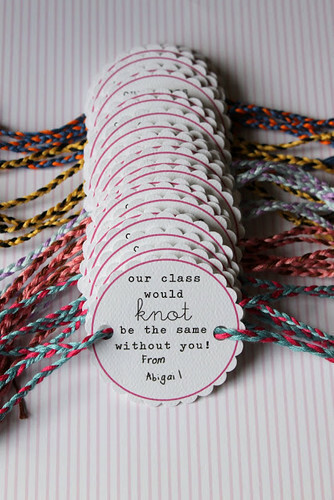 Danyelle of Dandee Designs [edit: no longer available] shows a great way to gift them to classmates. I'd never thought about covering cardstock with fabric, but these homespun cards from Suzonne Stirling of Urban Comfort are lovely. The chalkboard look continues to reign supreme... I love these hand drawn printables from Hannah of We Lived Happily Ever After. Yesterday I hunted down my origami paper stash for a little folding session... I had seen mini-pinwheel envelopes on A Spoonful of Sugar and just had to make some. A video always seems to help more than diagrams when it comes to origami and me. 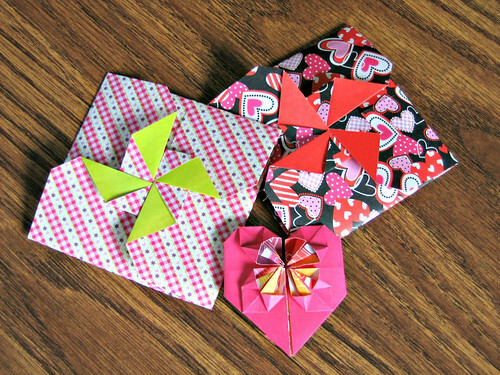 Next, I was determined to give Heather's little folded hearts that I shared last week a try too... find the how-to video here. Success on both counts! 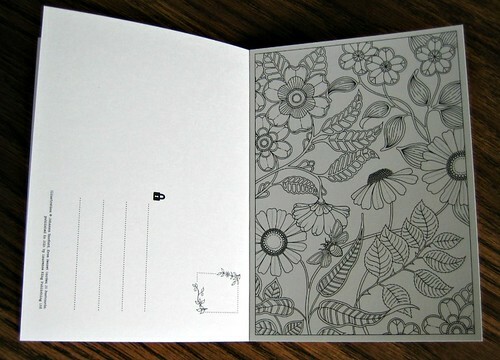 Last, but not least... Secret Garden Postcards illustrated by Johanna Basford arrived yesterday from Laurence King Publishing. (sometimes publishers send me new releases; if I think they're a good fit on the blog I feature them) Twenty tear-out postcards - each with a different, intricate design - can be sent as is or get out your colored pencils, markers, inks/embossing powders and have some fun. 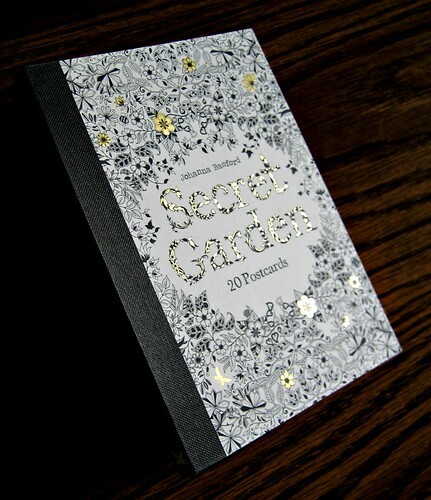 The collection is a sequel to last year's very popular Secret Garden: An Inky Treasure Hunt and Coloring Book. A new trend was born - the adult coloring book! I remember crayoning with my boys when they were little and would have enjoyed having pictures like these to work on alongside them. It's a classy little book... sure to be a nice Valentine's Day gift for an arty friend or an older child who loves to doodle and color. Thanks, Ann, for including me! Valentine's Day is such a festive day to look forward to during the middle of winter. 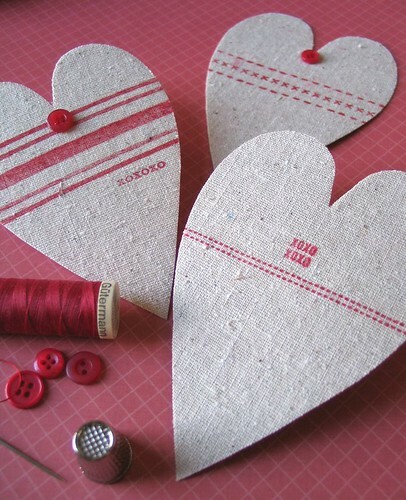 A delightful round-up of Valentine makes. Not just cards. Thanks so much! I'm seeing this a bit late as it's after Valentine's Day, but I totally agree with it being a day not just for romantic love. Growing up, my mom always made it into a family holiday, which I love. I try to send my friends across the country valentines in the mail as well as my family, still. That's so nice to hear, Traci. I bet they appreciate them.